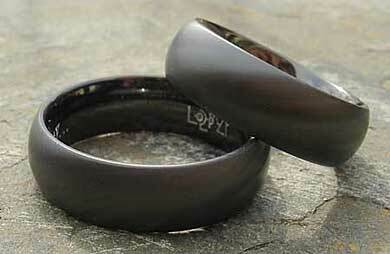 Domed Men's Black Wedding Ring : LOVE2HAVE in the UK! This domed profile men's wedding ring is a design classic, but you don't see many of these styles in alternative finishes or metals. Our plain domed ring is made from black zirconium that is available in a satin or a polished finish and also different widths too ranging from 4mm to 7mm. 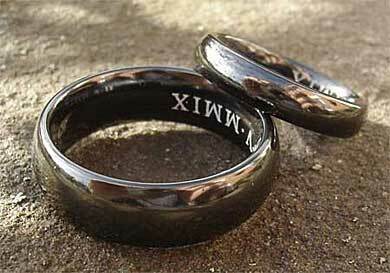 This ring, therefore, makes a beautiful plain, understated ring for a man or a woman looking for something unusual. 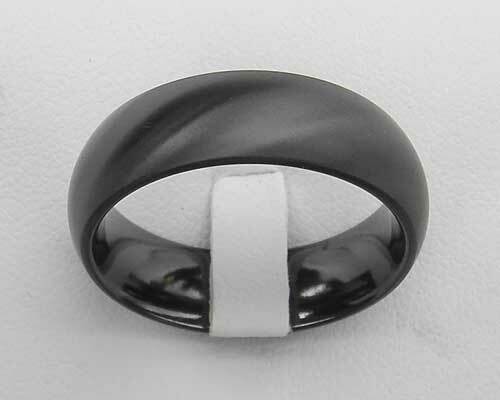 The black finish on this ring isn't a plating but a coating that is created using high temperatures. Width(s) Available: 4mm to 7mm.